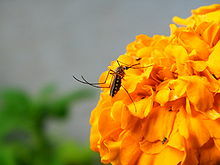 A woman named Betty Reese said this: “If you think you are too small to be effective, you have never been in bed with a mosquito.” Okay, okay. My first blog of 2011 is a mandate to myself to expand my horizons to the world in which I am strangely rather comfortable … the future. First requirement is to fall away from ordinary thinking that has plagued us (me included) for the past decade. Lest I forget, professional coaching developed during this time … yet in some ways it struggles to remain the same. None of that is a terribly bad thing. It’s just not the only thing to think about. I’m going to Gladwell’s What the Dog Saw and renewing my close relationship with connecting things, people, ideas and those ostensible “whatevers” that don’t yet exist. His other excellent books (Tipping Point, Blink and Outliers have the same thinking, BTW). Then there are times when I need to educate myself in matters other than people. I read Michio Kaku’s Hyperspace and will follow that with his Physics of the Impossible. The universe exists (no matter what anyone else thinks). It’s huge, beyond immense, unimaginably vast … no more words to use. Well, it makes me aware of how small and insignificant I actually am to the greater scheme. Yet I am aware enough to know that I am on a very small planet with rather frightening problems that may or may not have solutions. I’ll be reading this book for quite a while bearing in mind the mosquito. I was musing on some cursory ideas from Alvin Toffler (of Third Wave fame) and his Fourth Wave predictions. The scary part is that they’re all the same problems only magnified. I’m of the opinion that the future must include some radical changes that I certainly cannot define or describe … at least it seems that way to me. I count on better minds than my own to keep me honest. My wish now is to be able to relate to the future and bring what I do for a living (professional coaching) into a relevance that extends much further into the future than I will ever know. So how’s that going to happen? First, I’ll check in with the mosquito for strategy. Then I will begin.